Netflix is really awesome. It offers all sorts of movies, tv shows and documentaries. Earlier this week, the company announced that it’s services are now available globally. While this is great news in general, the content on the local Netflix platforms varies heavily. While their own productions like House of Cards are pretty much available everywhere, it might not be the same with all other sorts of things. This is partially due to localisation, i.e. Netflix offering you local content, but also due to some outdated copyright structures in the movie industry – to quote Netflix “prisoners of territorial licensing”. With that in mind, a VPN or any other IP-changing service just became your best friend. With a few clicks you can mask your original location and access Netflix content from all other the world. While probably most of you want to watch US Netflix, this also works for other locations. Fancy some British humor? Switch location. Living abroad and want to watch some good old German TV show? Switch location. It’s usually one a matter of a few clicks. In the following I’ll explain how to access any Netflix from everywhere in the world. Now let’s have a closer look at the different ways of accessing it, their advantages and disadvantages. A VPN is usually used to externally access networks, for example when accessing work-related documents from a server when working from home. The tool basically connects to a server and sends the entire traffic through it. Because of this, all your traffic is channeled trough a server. 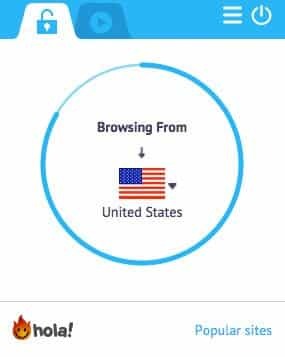 When browsing the internet (or any other network / content), only the IP of the VPN is visible. 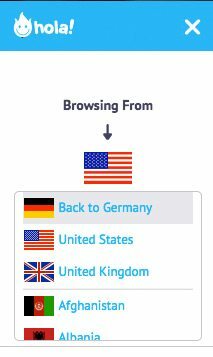 In our case, the VPN server could be anywhere in the US. When you’re connected via the VPN, Netflix thinks that you’re actually in the location of the server. Because of this, you’re then able to access to local Netflix content based on the VPN’s location. However, this comes with a down-side: VPNs usually cost some money and low cost / free alternatives might be too slow to actually stream 1080p media from Netflix. Browser plugins like Hola Better Internet are similar to VPNs but often only limited to browser based traffic. Whenever you want to use Netflix using your laptop or computer, you should be fine. However, usage on mobile devices may vary. Personally, I wouldn’t recommend Hola Better Internet as it apparently shares your internet connection with other users. The amount of available locations may be limited and you can also be restricted in terms of video quality. On the plus side, plugins like Hola Better Internet come for free and are quite easy to use. DNS masking services like Unlocator are very elaborate services that work similar like a VPN. In contrast to the VPN, a DNS masking service only forwards certain traffic via a DNS server, while the rest still uses your regular connection. So what does that mean? Let’s start from the beginning: In simple words, a DNS server, usually provided by your internet service provider, is a services that automatically translates web addresses to IPs and redirects you to the appropriate server. So instead of typing an IP-address in your browser, you can simply type netflix.com and the Netflix server will automatically serve you the website appropriate for your location. This has many advantages: You can use DNS masking services usually with any devices, no matter if it’s a computer, a smartphone our your gaming console. As long as you can change the DNS server, you’re good to go. Of course, you can also adjust the DNS server on your router, which will give every device connected to the internet via your network the DNS masking powers. As the DNS masking service is just rerouting you to your desired server, you’re not restricted in terms of internet speed. However, DNS masking services usually don’t come for free and cost a few bucks every month. 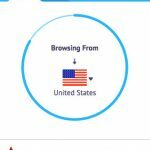 Which VPN or Browser Extension should I use to watch Netflix? In theory, you can use any VPN service out there, as long as its fast enough and offers servers in the location from which you want to access Netflix. Personally, I would recommend using TunnelBear. It works on computer (Mac and PC) as well as Android and iOS mobile devices. 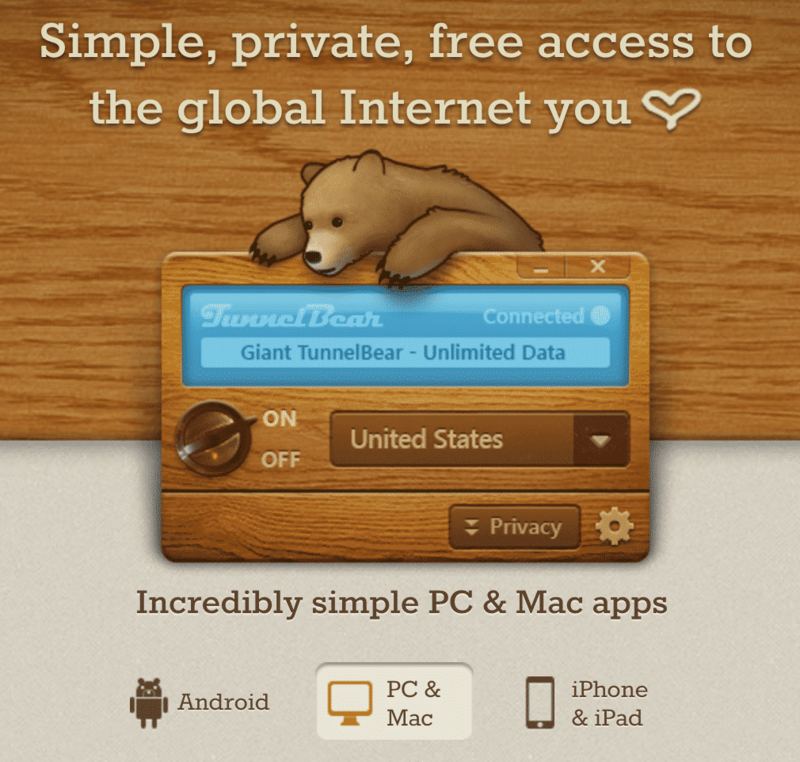 Tunnelbear offers a browser extension as well as standalone apps for other devices. The basic version comes for free but is limited to 500 MB monthly traffic (or 1GB if you follow their Twitter promotion). However, for $6.99 / month or $49.99 annually ($4.16 / month), you get to use their services unlimited on up to 5 computers or mobile devices – definitely a fair price to pay. Personally, I would recommend testing their services and then either picking the annual or monthly offer. Installing Hola Better Internet is quite straightforward and can be done across multiple browser and devices. The free VPN supports Windows and Mac, Android devices as well as iPhones and iPads. To install Hola Better Internet just head over to their website and install the appropriate plugin. It’s easy as that. After you’ve installed Hola Better Internet simply open the browser extension, select the website that you want to visit and the country from which you’ll access it. Hola will take care of the rest, unlocking the foreign website (or Netflix for you). Doing this, you’re able to access far more content from different countries and make more out of your Netflix subscription. If you want to access Netflix on a set-top box like the Amazon Fire TV or a gaming console like the PlayStation 4, I would highly recommend to have a look at Marc’s guide. Please let me know if you have any questions about this in the comment section below.